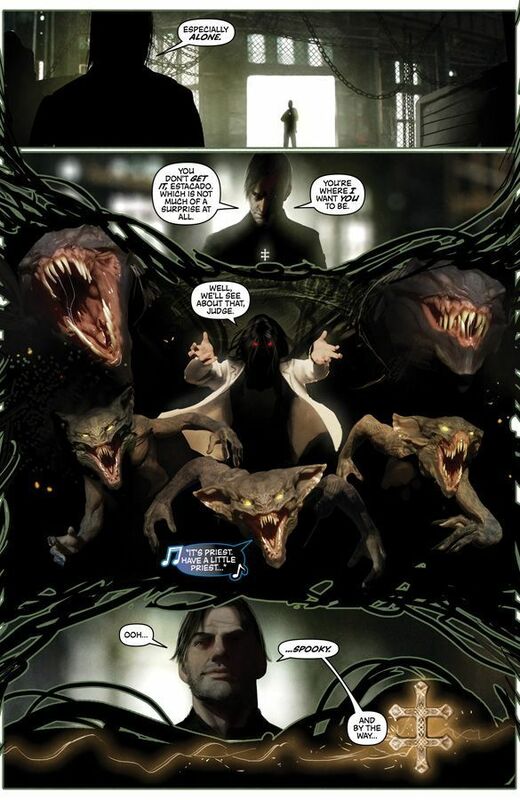 Ever since Jackie Estacado rebuilt the world, it was only a matter of time until it fell apart. His wife, Jenny Romano, was brought back to the land of the living and was made the mother of his daughter, Hope. 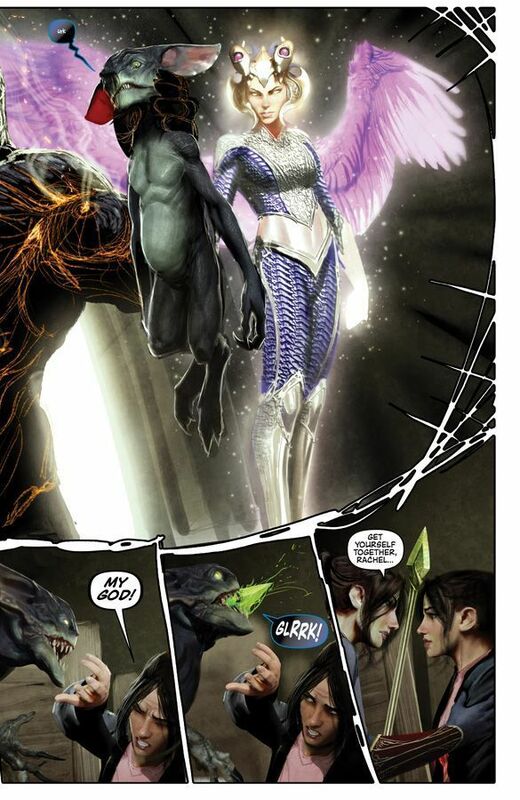 The previous mother, Sara Pezzini (current Witchblade holder), had no knowledge of this switcheroo. Sooner or later, she's going to find out what Jackie did and it's going to be bad. That's not all that Jackie has to worry about though. 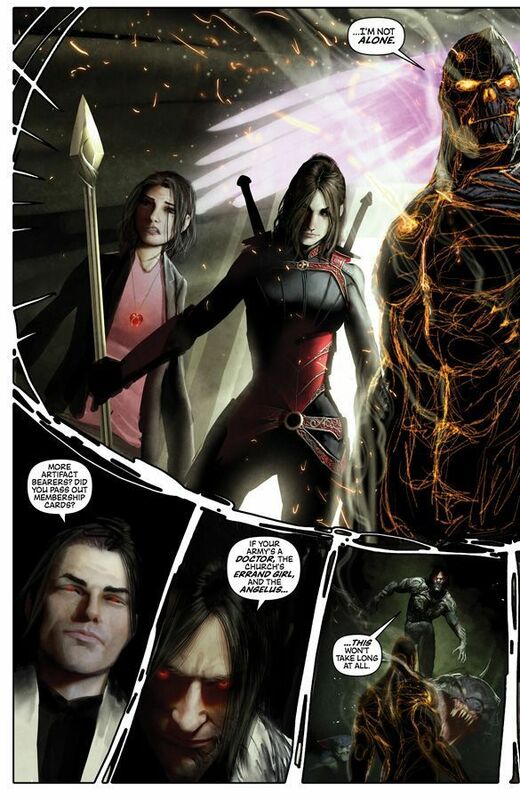 The Darkness has separated itself from him and started to run a parallel life to his own as his doppelganger. Plus, Tom Judge is on to his shenanigans and is out to set the world right with the help of some other artifact bearers. 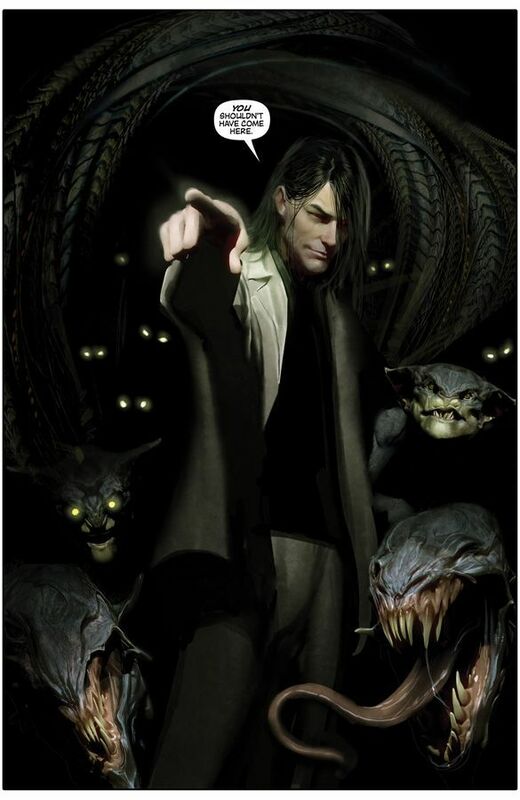 Author Ron Marz has been building up to this moment, the first crossover between the Top Cow Rebirth titles called Progeny. Artifacts has been the catch-all for the items that didn't necessarily fit into Witchblade or The Darkness, but it's developed into much more than that. This is where the fight between good and evil is really being waged. Tom Judge has pulled in the Magdalena, the Angelus, the Heart Stone, and former Darkness bearer Aram the Witch King to put a stop to Jackie, but it might not be enough. This issue has all the makings of the first shot fired in a large war. Jackie and Tom draw a line in the sand. Both are ready and willing to fight for what each feels is the correct version of the world. At the center of this is Jackie's wife Jenny, who is an anomaly. Jackie brought her back to life and forced her to become Hope's mother. The universe is trying to correct this unnatural occurrence and Tom is the one leading that charge. I just can't imagine what Sara is going to do when she is filled in on everything. It's not that she lost a child, but she lost the very bond to her own flesh and blood. It's almost worse than if Hope had died. 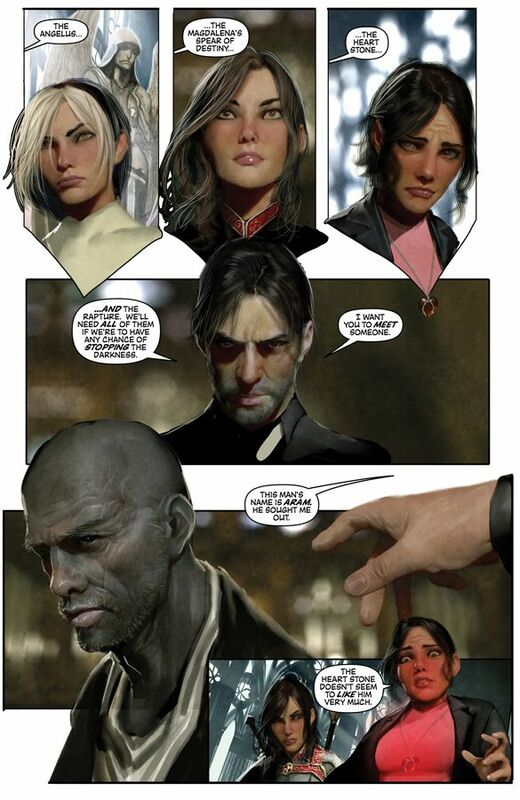 Stjepan Sejic turns in page after page of fantastic artwork in Artifacts. 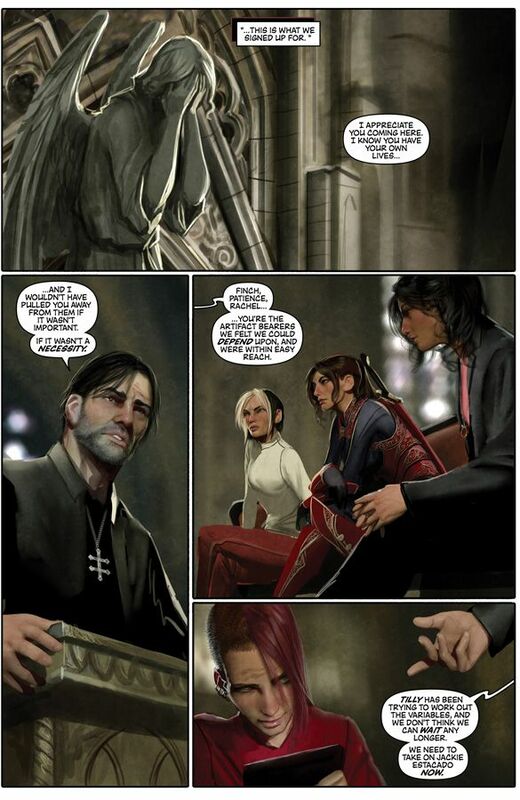 The characters and monsters all look realistic and very well detailed, but it's the subtle things that Sejic adds to the book that make it so much better. The panels themselves have small difference depending on what is inside them. When Jackie is involved, the edges will be broken into several pieces, giving the illusion that his world is starting to fall apart around him. There's also a brilliant full page spread of Aram explaining his history with the Darkness that's presented in black, white, and grey. There's nothing else on the page except for him but his shadow is filled with images of his recent past, showing Jackie spiraling out of control. Artifacts continues to be an epic comic dealing with very real human emotions. There are also giant monsters that would make the worms in Tremors cry. Progeny is just getting started here, but it's looking to be a very painful journey for some of these characters. Some things are unforgivable and others are just too despicable to even comprehend. Jackie is walking a fine line between the two.